Don’t miss the exciting live “Musical Talent Showcase” at the Tri-County Fair on June 15. The Musical Showcase will be a great segment geared to introducing the audience to local musical acts who will bring their best to the stage. Please check back as we add our musical acts for 2019! Got songs? Got harmonies? Got fun and unbridled enthusiasm? Then you’ve got The Wag! 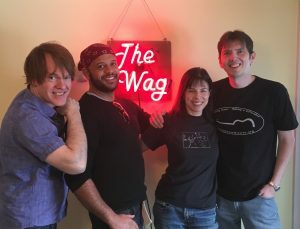 Hailing from the Bay-shore area of New Jersey, this four-piece unit has been entertaining and moving audiences for almost 20 years, however still sounds as fresh as it did on day one! With three alternating lead vocalists, catchy melodies, and sophisticated harmonies, they will take you on a journey of pop rock delight! Philadelphia born-and-raised singer/songwriter Giana Lynn is an indie musician with big dreams and an even bigger heart. Since 2014, she has release a debut EP (Gianre – November 2014), a single (Family Christmas – November 2015), a full-length album (My Glass Heart – July 2017), and, on April 24th 2018, she released a five-song EP titled No Longer Silent.She has played shows in several states including Pennsylvania, New Jersey, New York, Delaware, West Virginia, and Maryland. 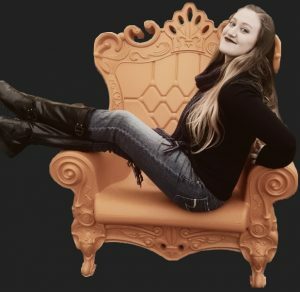 Giana’s mantra is “Aspire to inspire.” Her ultimate goal is to touch peoples’ souls with her music the way her own soul has been embraced a multitude of times by others’ music, and to give people the courage to live the life of which they dream. 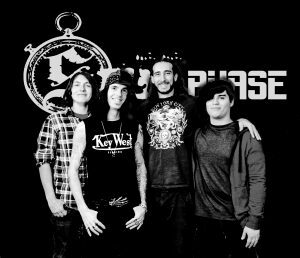 A unique rock band from day one, the members of Stillphase have been singing, performing, and playing together for many years. They are a modern yet timeless band whose sound can be as soft as pop or as hard as metal. They have gained fans of all ages by performing at a variety of venues and bringing excitement and energy to the stage. We have entertained at The 2017 New Jersey State Fair, Montclair Center Stage, Middlesex County Fairs, Burlington County Summer Stage, countless private parties and numerous corporate functions, including receptions at New York City’s historic Tavern on the Green, Westchester Country Club, shows for Radware, Bloomberg LP, Boston Properties, legendary venues such as BB Kings, PNC Art Center, The Stone Pony, The Trocadero, and a notably one-of-a-kind wedding at the Boston Aquarium. Whether the event be modest or grand, Fast Forward 80s always rises to deliver a platinum performance as they unleash the ultimate hits from the most totally-excellent decade. 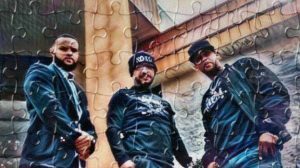 From Crime to Christ consist of 4 Godly men from Paterson and Jersey city with compelling life stories on how God has helped them through the hard times, from near death experiences of drugs and gang activities under the record label, Higher Power Music. The Leading Tones are thrilled to be back at the Tri-County Fair. This is a reunion show for The Leading Tones, a diverse group of students hailing from Roselle, NJ, here to show they can create a cohesive, energetic sound filled with eclectic, old-school flavor that is peppered with soul and mixed with today’s grooves that will leave your soul with a smile. This national award winning group has been blessed to have shared the stage with Lucy Hale as finalists in the “Boost The Volume” competition, and has worked with Deke Sharon and Bri Holland on Lifetime’s A Capella reality show Pitch Slapped. They were the SingStrong NY & SingStrong DC High School Champions and received Outstanding Male Solo and Outstanding Vocal Percussion awards in the National A cappella Convention’s High School Competition that same year. In their years together they have also opened for professional groups like Take 6 and Resound. The Leading Tones are directed by Marcus Garvey Daniels II. 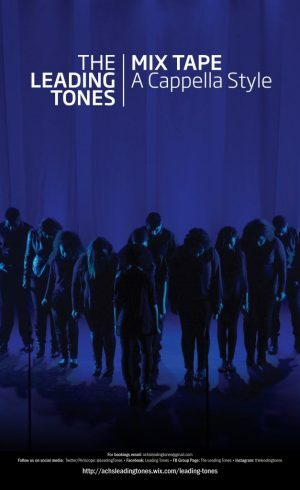 Voices Of The New Generation is a vocal ensemble of young people who share a love of God and people, and who stand for the idea that individuals of different backgrounds can unite and help build a better society. The group was formed in January, 2015 by Jamal Barnes, an accomplished music director, pianist, teacher, attorney, and civic leader. With the purpose of sharing the love of God and a desire to positively influence humanity, the group has been actively performing in the greater New York/New Jersey metropolitan area and beyond at various churches, festivals, and community and civic events. 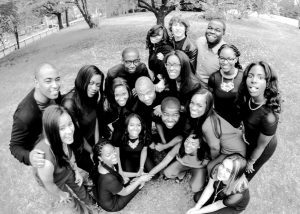 The group has also ministered in Charlotte, NC, and Hampton, VA. Voices of the New Generation is a two time finalist in the McDonald’s Gospelfest, in 2015 and 2016, held at the world-renowned Prudential Center in Newark, NJ, and is a 2017 Gospel Image Award nominee for Choir of the Year. The group has released a single, “That Matchless Name,” available for download at Amazon.com, ITunes, GooglePlay and other online retailers. Reverse Order is a dynamic alternative rock band from New Jersey with an undeniable edge that you will never forget. Through an impressive live show, and songs that are steeped in infectious catchy melodies, Reverse Order has made a powerful impact not only in the US, but internationally performing in multiple countries including Russia and Mexico. 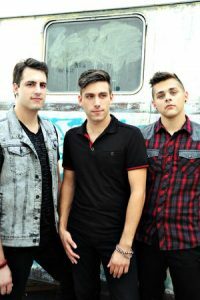 Reverse Order is currently on a 25 week U.S. tour in support of their government certified non-profit “Reverse The Trend” anti-bullying initiative speaking to, and performing for, thousands of students a day. Chris and Kari of S.C.3 Entertainment will get you moovin’ and groovin’ from good ole’ fashion oldies to today’s top hits there is something for everyone to enjoy! 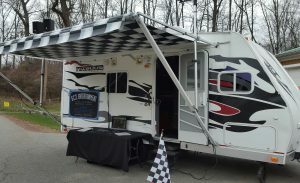 S.C.3 Entertainment regularly provides outdoor entertainment to parades, fairs and car show’s all around the tri-state area. Your ears and hips will be sure to love the sounds of SC3! The Musical Showcase will take place on Saturday, June 15 at the Tri-County Fair located on the grounds of Christ Church @ 140 Green Pond Road, Rockaway, New Jersey 07866. We are still adding great bands for the showcase, check back soon!